Floral designers have long been taught that the most important attributes of a design are its elements: line, color, texture, pattern, form, space, and size. Yet, these attributes have not been proven to be perfect indicators of consumer purchase behavior. In a new study currently being conducted jointly by the American Floral Endowment (AFE) and the Produce Marketing Association (PMA), funded through the Floral Marketing Research Fund (FMRF), researchers will determine which of these attributes are truly important to consumers and drive their purchase behavior. The study results can be used by florists, suppliers, retailers, and bouquet makers to increase sales. 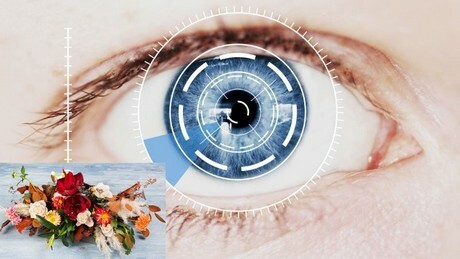 Using the latest in eye-tracking technology, Dr. Charlie Hall and Marco Palma will conduct the experiment, which will include hundreds of regular consumers, at the Human Behavior lab at Texas A&M University. The lab consists of 16 seated eye-tracking (ET) stations, and a walking, retail or supermarket-style station. “In the lab, we can accurately collect biometric data, including eye tracking, facial expression analysis (reading emotions), neural signals (electroencephalography), galvanic skin response (GSR) and heart and respiration rates,” according to Dr. Hall. Results from this comprehensive study and experiment will be made available through AFE and PMA in fall 2019.